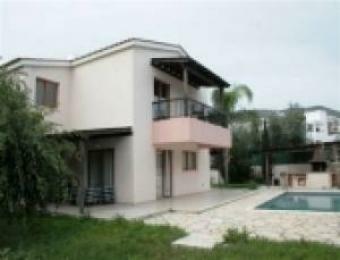 A 4 Bedroom, 4 bathroom (Resale) villa with private pool in Peyia, Paphos. This is a 4 bedroom/ 4 bathroom villa, so every room has its own bathroom. The living area and kitchen are both spacious. The lovely gardens and trees gives the villa the privacy that everybody is looking for. It has a swimming pool and outdoor B.B.Q area.